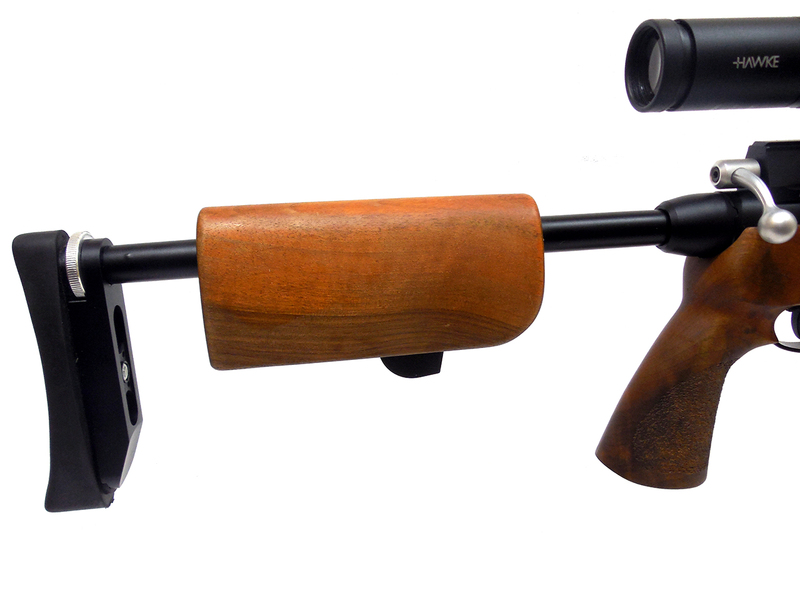 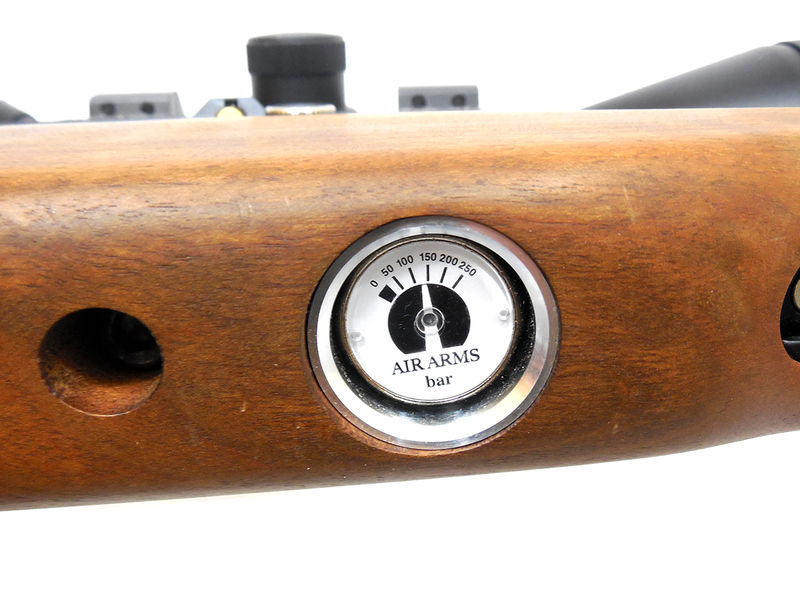 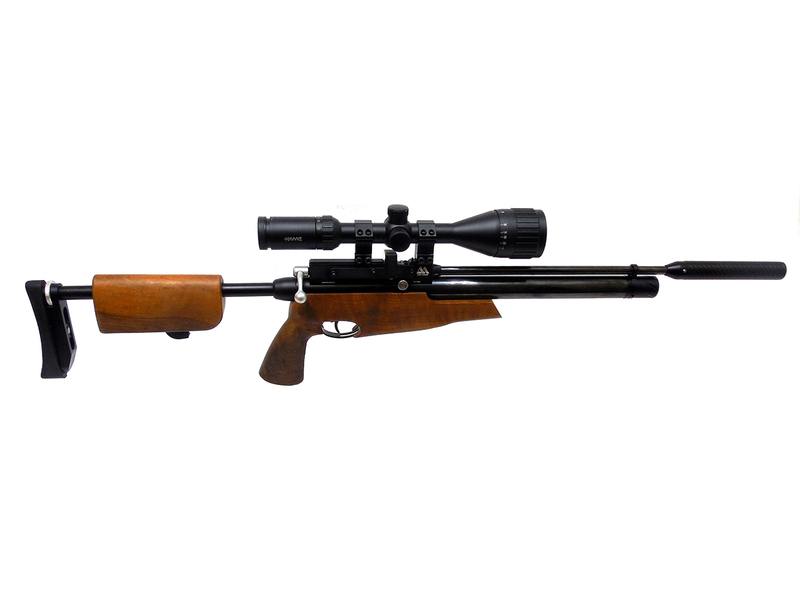 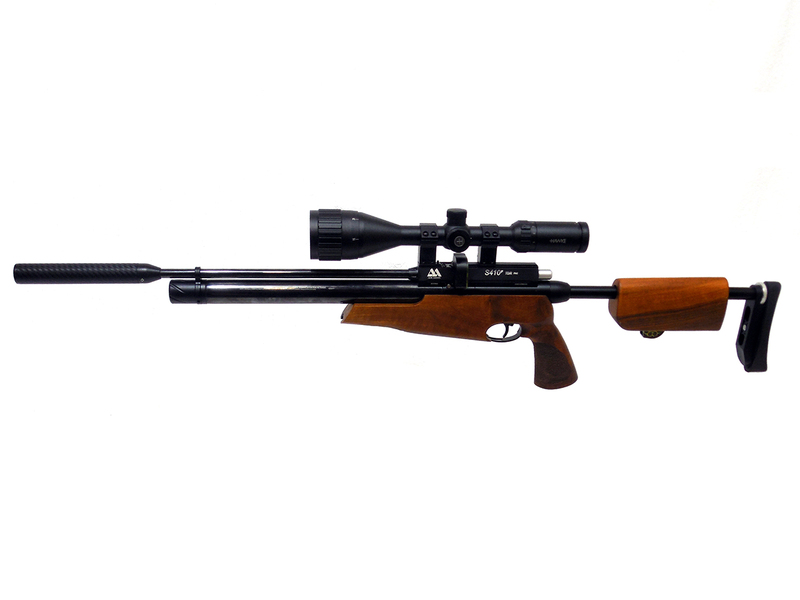 The Air Arms S410 is a bolt action, single shot, pre-charged pneumatic take down rifle available in .177 or .22 caliber (this one is .22). 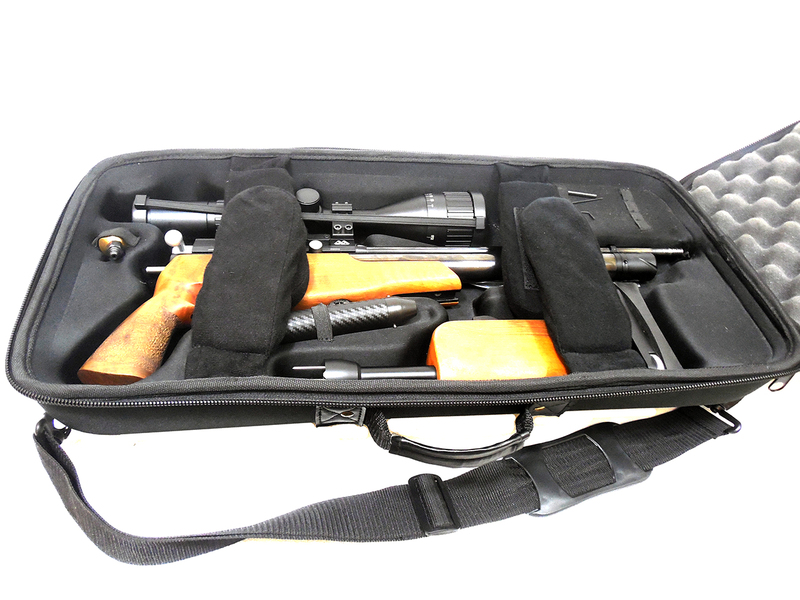 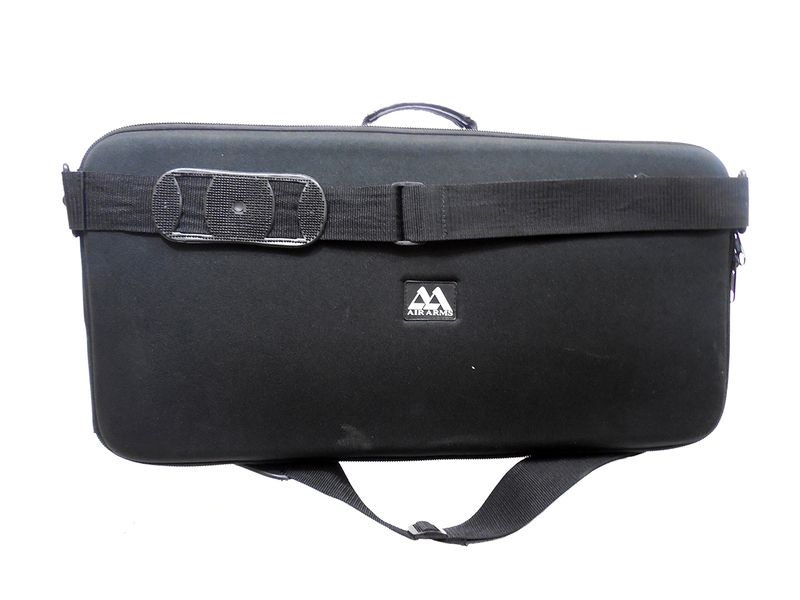 The stock can be removed and packed into a compact carrying case. 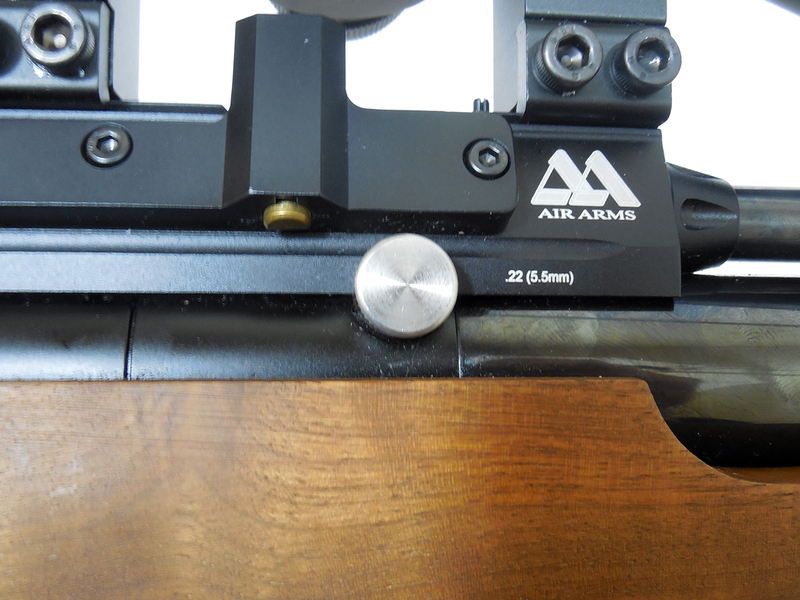 It can also store up to two spare 10-round clips in the stock. 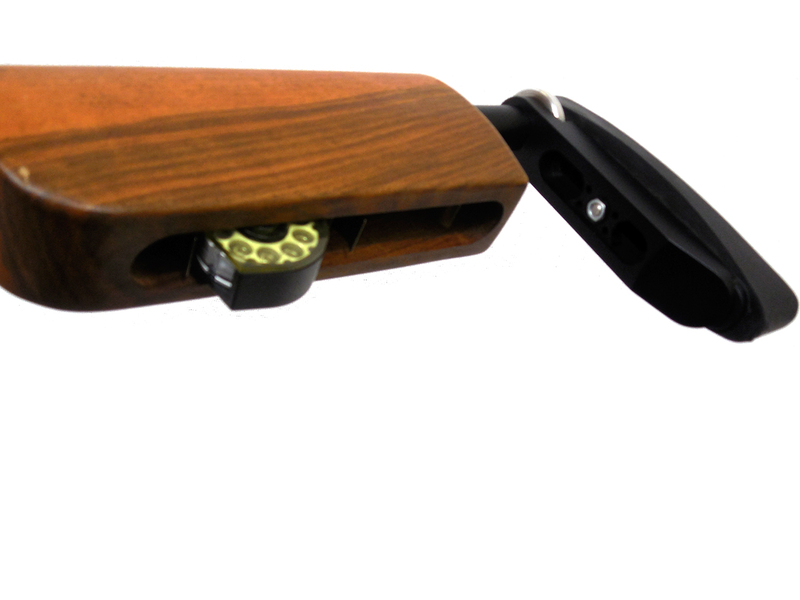 The gun and case combined weigh in at just under 9 pounds. 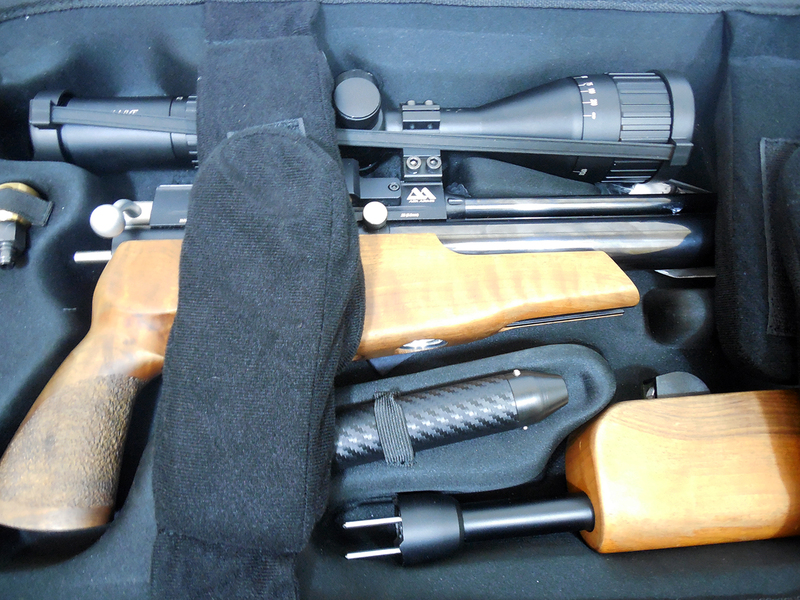 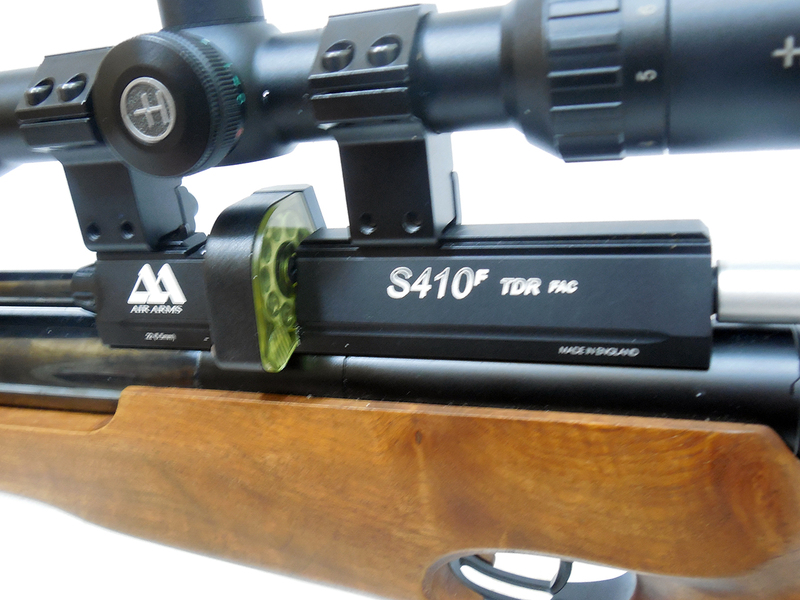 This one comes with a TKO moderator, and a Hawke 4-12×50 AO scope.